I have been nagging Mr. Grumpbump for weeks - we need to flip our mattress. He ignored me for a long time but we finally did it over the July Fourth weekend. I pulled all the sheets off and was in the process of washing them. The sheets puddled on the bedroom floor and to my amazement, Macy curled up in the sheets and made herself comfortable. This is significant only because Macy never comes in our bedroom; it's just the one room that she doesn't feel comfortable. She only traverses the room in order to use the cat door to escape outside. Generally, she avoids it because it's always been the domain of Delilah. So, I helped Macy out by doing all the other laundry and saving the sheets until the very end. I didn't like the idea of disturbing Macy's new hangout. After all the laundry was done, the mattress flipped and the sheets back on the bed, Mr. Grumpbump and I went to sleep. And to our amazement, this happened. It has never happened the entire time we have cared for Macy. Macy jumped up on our bed. And stayed. This is astounding because Macy has always considered this area to be Delilah's and she would hiss and squirm if you got her anywhere near our bedroom. We are trying to determine what happened. It's almost as if a switch in Macy's brain has been flipped and she's got confidence and is self-assured enough to take ownership of a new space in the house. I'm guessing that it helps that Delilah has abandoned the room too (she did so because of the Monkey). Whatever the reason, Macy has spent the last several nights in our bedroom. And when Mr. Grumpbump comes home from work, he finds Macy resting on the bed. 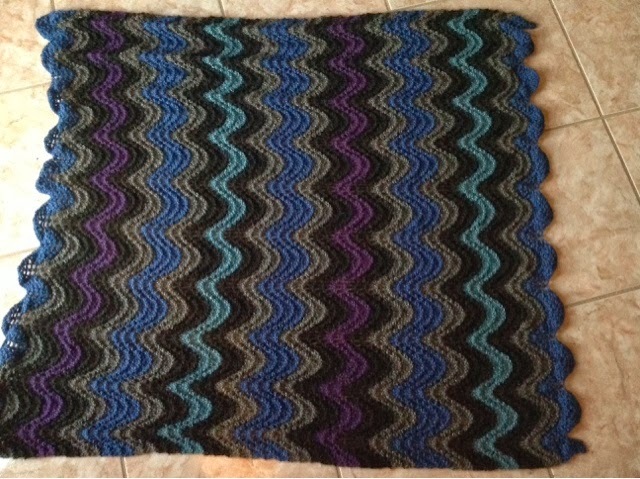 As far as my knitting goes, I'm nearly finished with my latest chevron blanket. 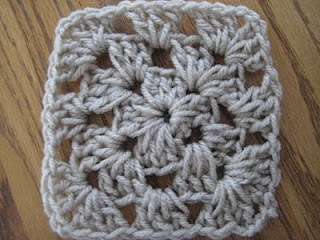 I'm planning the next one before this one is even off the needles. I bought a few books on ripple stitches in order to get some ideas on new stitch patterns. I'm only relaxed when I'm knitting. I am convinced this is God's way of telling me to quit my job and just stay home and knit.